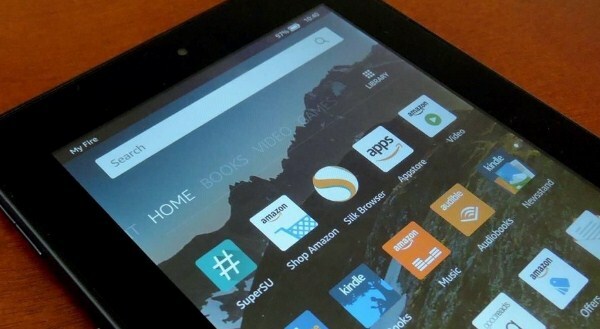 You may have a Kindle Fire HD and you want to root it. However, the problem is that you do not know which application that suits your phone. Well, there are several things that you need to do before you decide to root your phone. The first thing that you have to do before you root your phone is checking the model of your phone. You need to check it to find the best root app that you can use for you phone. If you are not sure with the model of the phone that you are using, you are able to see if you have an SD card slot and it is only the 2015 model which comes with one. Then, you need to back up the data in your phone. Rooting is a more complicated process than the average procedure. So, make sure that you back up your internal storage to your computer in case anything goes wrong. After that, you need to check which OS version you have. Rooting the Fire HD can be kind of tricky depending on your current Fire OS version number. You are able to check by heading into Settings and then go to About. If the version is above 4.5.3, you have to downgrade before your root the device. Then, you have to make sure that you have ADB installed. The downgrade will ask you to send some ADB commands from a computer. So, make sure that you have ADB installed before you try the process. Now, turn on Wifi on your Kindle Fire HD, access Kingroot and then hit the “Root” button. If you do not get root on the first try, you can reboot your device and then try again. If the rooting process is done, install the latest version of TWRP for the Kindle Fire HD. Then, open Flashify and choose “Recovery image” from the Flash menu. Select the TWRP image you just downloaded which should be in your Downloaded folder. If the flash is done, enter the ADB command “adb reboot recovery” to make sure TWRP installed successfully on your device. Related Post "Kingroot Kindle Fire HD"